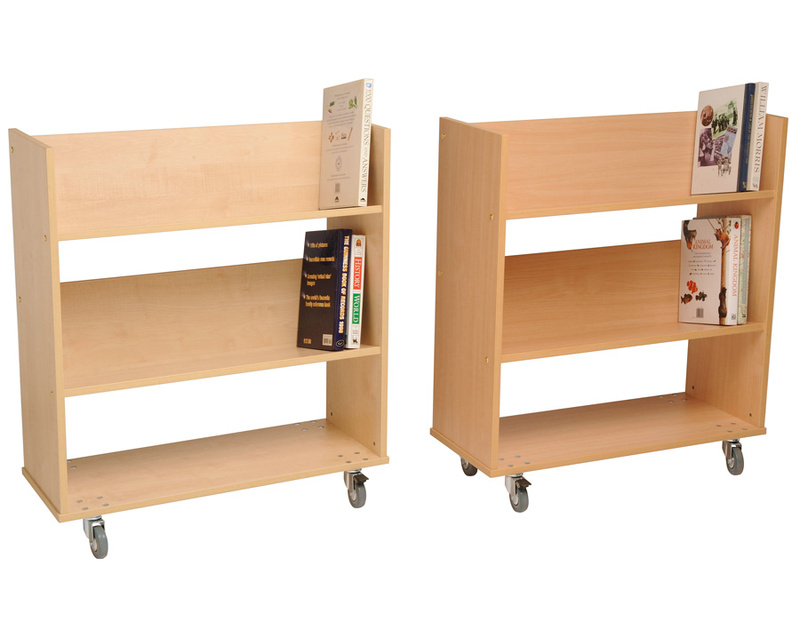 Single sided wooden book trolley with two flat, sloping shelves at different heights. Perfect for a nursery or school library but also suitable for office use as the shelves on this mobile book trolley accomodate standard A4 box files and cantilever file systems. This library trolley has 4 swivel rubber tyre castors with a load capacity of 60kgs per castor. Available in 12 bright colours and delivered flat packed for self-assembly. Take a look at our full range of book trolleys and book storage. For more information please Contact Us or call us on 01733 511121.